The nose is powerful. If you stand or sit still with this glass in your hand, you get constant reminders of it, from a couple of feet away. The peat and smoke is strong, but underlying it is a toffee sweetness balanced by an iodine sea salt savoury-ness. It has a hint of wood too. It's much more complex than the powerful long-range smell would suggest. Not that there is anything wrong with strong peat and smoke, but the subtle balanced smell along with it is genuinely complex and good. The taste starts light, sweet and fruity, followed by a gentle wash of smoke and nuts, with a hint of iodine and sea salt. It's still very robust and full of character, but it is surprisingly gentle, even civilised. The gentleness continues with the finish which is long and salty, with more undercurrents of iodine, peat and fruit. I bought this one several months after the Lagavulin 16 after hearing people rave about it. In my personal opinion, I was looking for a peat monster, and was a little bit disappointed at how gentle it was. I'm looking forward to trying the Laphroaig 10 Year old cask strength to see how that compares. That said, in a field of very good malts, this more than holds its own. @jdcook I had the same exact impression as you. I bought this malt a couple of days ago, expecting a peat monster. I too was impressed by its gentleness. The peat and smoke are present, however not to such an extent as I was expecting. In addition, I was astonished by the sweetness of this malt, which contributes at least as much as the medicinal notes in the constitution of the flavour profile. In order to double check my findings, I also did a H2H with Ardbeg 10 which totally overpowered the Lappy in terms of peat/smoke delivery. Is it possible that a difference of 6% abv plays such a domninat role? Well, bottling at 46% is always better than 40%, and different batches taste different, but the base offerings from ardbeg and lagavulin do seem to have more peaty punch than the laphroaig. This reviews just how I felt. Got a good flavour, but lacks that oompf to it - wish more reviews would have pointed this out. I'll have to try the quarter cask next time. try the cask strength.... plenty of OOMPH! Would you rather the cask strength or the quarter cask? 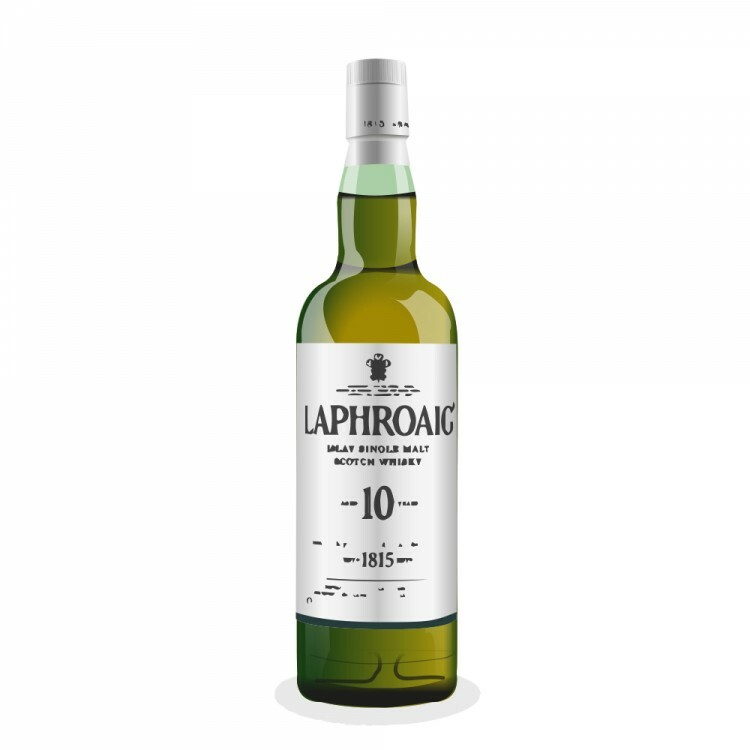 @jdcook, Laphroaig 10 does indeed become the 'peat monster', though, for those for whom this is their FIRST heavily peated malt. The mouth adjusts to these flavours. @Victor - it is indeed, but if you go from the Laphroaig 10 to the Lagavulin 16 or the Ardbeg 10, you do notice a difference in peat levels. At least, I did with the bottles I have! It's still a fine dram, but it is competing with those drams mentioned above, and it comes across a little light. There might be a difference between the 40% and the 43% versions of the laphroaig 10 as well? The only peat I'd tried before was talisker 10 and I was under the impression that laphroaig would have more oomph to it... then again that's 47% vs. 40%. Plus there's the temperature to consider... at 5-10degrees in my room I think it takes off some/a lot of the edge. @jdcook, on average I completely agree with you on the relative peat levels of Laphroaig 10, Lagavulin 16, and Ardbeg 10. That said, my current bottle of Lagavulin 16 tastes no more heavily peated to me than the average bottle of Laphroaig 10. I had wished for and expected higher peating levels based on previous drams of the Lagavulin 16 from other bottles. Once again, there are batch and bottle differences. @Victor - indeed there are difference in batches and bottlings. 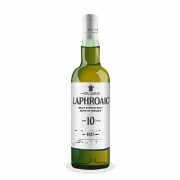 But I still find myself a little disappointed by the Laphroaig 10. But I soon get over it with the Cask Strength, the Quarter Cask and the 18 (which is undeniably brilliant)! My recommendation would always be if someone is looking at the Laphroaig 10, pay a little more and get the Quarter Cask - it is worth far more than the difference in price. @jdcook, yes, undiluted is better than diluted, and, with young Scotch, more wood is better than less wood. I like the discussion and I would like to add my opinion. As you can see from my previous comment, I was a little underwhelmed when I first tried the Laphroaig 10. I did a H2H comparison with Ardbeg 10 and I thought at first the Ardbeg was much better due to the higher peat levels and ABV. Nevertheless, with time, the Laphroaig really grew on me. It may have a lower ABV, but when you look beyond the first layer of peat and smoke it is quite complex and I absolutely love that sweet diesel note. It's actually almost fuller than the Ardbeg 10, which behind the peat and smoke displays more fruity and floral notes. Bottom line, i would now put them on the same level! @drinix - I agree that the Laphroaig grows on you over time, and is a very decent malt, but I still enjoy that initial wave of solid peat and smoke from the Ardbeg and the Lagavulin that draws me in right from the get-go. Whereas it takes a fair amount of a decent-sized nip before I really get into the Laphroaig. So, in a nutshell the second half of all three drams are fairly comparable in terms of enjoyment, the first half I find the Laphroaig is shaded by the other two. Mind you, if someone offered me some, this is still excellent and I would still be happy to partake!